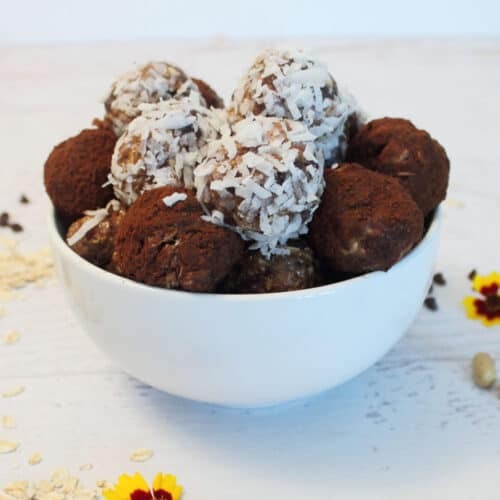 Quick & easy no-bake energy balls are not only delicious but healthy too! Full of peanut butter, honey and oats, they're great as a snack or even breakfast. In a medium bowl, stir together all ingredients, except those for rolling, until thoroughly mixed. Wrap dough in plastic wrap and place in refrigerator for about 1 hour to make it easier to roll. Roll into approximately 18 balls then either leave as is or roll in desired coating.